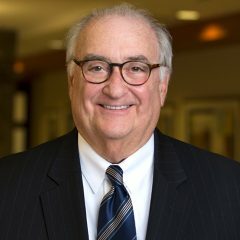 With state and federal prosecutors increasingly targeting businesses and business executives and seeking to “criminalize” practices that only a few years ago would have been handled civilly or administratively, the need for sophisticated advice on white collar criminal law issues has become a necessity for many professionals and businesses. The United States Attorney’s office in Maryland has been a national leader in the prosecution of white collar criminal cases including fraud, tax evasion, political corruption and related crimes. The Maryland Attorney General and Maryland State Prosecutor also bring white-collar cases. We are acutely aware of the devastating effects a criminal prosecution or investigation can have. Members of our White-Collar Criminal Defense Group are well-equipped to deal with government prosecutors on these sensitive issues. 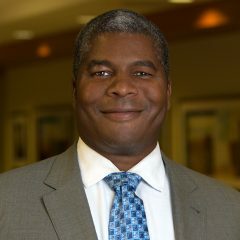 Andrew Radding, former Assistant United States Attorney in Maryland, leads our white collar defense practice, which not only undertakes representation of clients during the investigative stage and the defense if charges are filed, but also provides representation in related civil and administrative proceedings. In a practice that stresses prevention of violations and a vigorous defense at every stage, our services include: conducting internal client evaluations to discover potential criminal violations and evaluating voluntary disclosure to the government; responding to grand jury subpoenas and representing business and individuals during grand jury investigations; defending clients indicted in state and federal courts; advising clients of the collateral consequences of criminal prosecutions in such areas as government contracting, taxes, immigration and professional licensing; representing individuals in sentencing proceedings, including counseling on The Federal Sentencing Guidelines and representing clients in criminal appeals.